On October 29, Microsoft will finally tell us everything there is to know about Windows Phone 8, its new mobile operating system. But surely we know everything already, right? 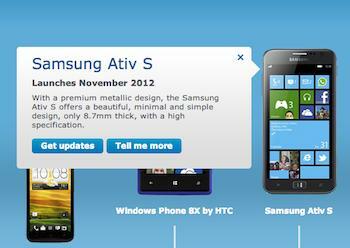 After all, we’ve seen the software and all the major manufacturers have announced their hardware too. Microsoft says it has kept some facts back about WP8 to help maintain anticipation, and revealing those will be part of the October event. Unfortunately, this secrecy has caused Microsoft to delay the release of its Software Development Kit, or SDK, presumably to help avoid thunder-stealing leaks; but the final version is expected to arrive at the end of this month. However, the wait has angered many Windows Phone developers, as did a decision to allow certain developers limited access to the SDK in return for signing a non-disclosure agreement. Angry developers without access to the right software could mean problems in the new Windows Phone Store, which will be a worry for anyone wanting to buy one of the new handsets. Windows Phone already lags behind Android and iPhone when it comes to quality apps. Should we be concerned by this delay? Will app availability be a problem? A delayed SDK means developers won’t be able to fine-tune, test, or add in additional features to get their apps ready for Windows Phone 8. They also can’t create new apps that take advantage of the new platform. The good news is Microsoft has said Windows Phone 7 apps will be compatible with Windows Phone 8, so every app that’s already in the store will still be available — they just won’t be optimized. More good news is that those developers with early access are likely to be the big studios, as Microsoft will want to ensure high profile apps have been enhanced to show off the OS’s abilities. Don’t forget, Windows Phone 8 hardware has faster processors and higher resolution screens, so there’s plenty of scope to improve existing apps. Regardless of why Microsoft is being secretive, this delay brings us on to the bad news: older apps may not look all that great until they’ve been updated. It looks like some developers have been given the information needed to update, but not all of them. Remember the switch from a 320 x 480 pixel screen on an iPhone 3G/3GS to the iPhone 4’s Retina Display? While it won’t be quite that pronounced, this situation is very similar. The bottom line here is that yes, there will be apps, but most will not be enhanced for Windows Phone 8 in time for release. There is one more thing to remember, and that’s the October 29 date isn’t the date Windows Phone 8 hardware goes on sale. Due to Microsoft holding back, manufacturers have stayed quiet on when phones will hit stores, with sometime in November being the only word. Provided the SDK comes out on October 29, then developers will still have a few weeks to play with their apps before you get your hands on a WP8 phone. Let’s hope they work fast. Microsoft has upgraded it developer portal, promising improvements in the app certification process and overall site performance. Another 13 countries have been added to this list too, bringing the total to 191, and more developers able to sing up means more apps for us. Apple releases different versions of its iOS SDK between the date of its announcement and the date of final release. Not all the versions have every new feature, but they at least allow developers to start work on new apps, or update existing ones. For example, according to this chart, the first iOS 5 beta appeared on June 6 2011, and four subsequent beta versions were released before the final October street date. iOS 6 was similarly released a few months prior to the iPhone 5 going on sale. Historically, Google has released its SDK a short while after it announces the new version of Android, with 4.1 Jelly Bean’s SDK coming out in July this year following Jelly Bean’s announcement at Google I/O. The real star at the moment, surprisingly, is RIM (Research in Motion). Despite BlackBerry 10 not appearing until next year (current guestimates hint at March 2013), Beta versions of its SDK are already available to developers, and this week it began accepting app submissions too. It’s even offering an incentive to early bird devs, promising selected apps a prominent position in BlackBerry App World. It looks like it really is lovin’ its developers. Microsoft’s approach is unorthodox, and does exactly the opposite of RIM’s, as it alienates developers and could potentially annoy buyers when the app selection is sparse. There’s still time to fix this, but Microsoft needs to start soon. Will it all be OK come release day? Maybe. Microsoft has dug itself a hole with the handling of Windows Phone 7. No one running a WP7 device will be able to upgrade to Windows Phone 8, making the old OS and hardware completely obsolete. Developers want to turn their attention to the new version, but are being hampered by Microsoft’s desire to keep things “secret.” RIM is often ridiculed, but it knows how important it is to keep developers working on its platform. 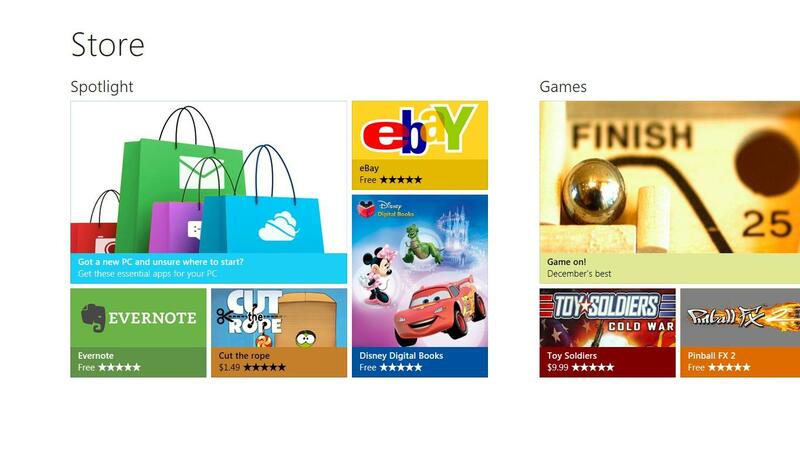 The first thing any new Windows Phone 8 owner will do is check out the available apps in Microsoft’s Windows Phone app store. If the selection is poor, or the version available is for outdated hardware, that negative experience will spread — fast. Worse, experienced smartphone buyers are already used to Google Play and/or the iTunes App Store, which are full of good apps. Microsoft needs Windows Phone 8 to have a more successful launch that Windows Phone 7, and is playing with fire by denying developers access to the WP8 SDK right now. Or, for all we know, the software has problems and isn’t finished, requiring last minute adjustments. If it’s the former, the reasoning is bizarre but not unforgivable provided the secrets are truly exciting; but if it’s the latter, then Microsoft has got bigger problems to worry about than a software developer kit.